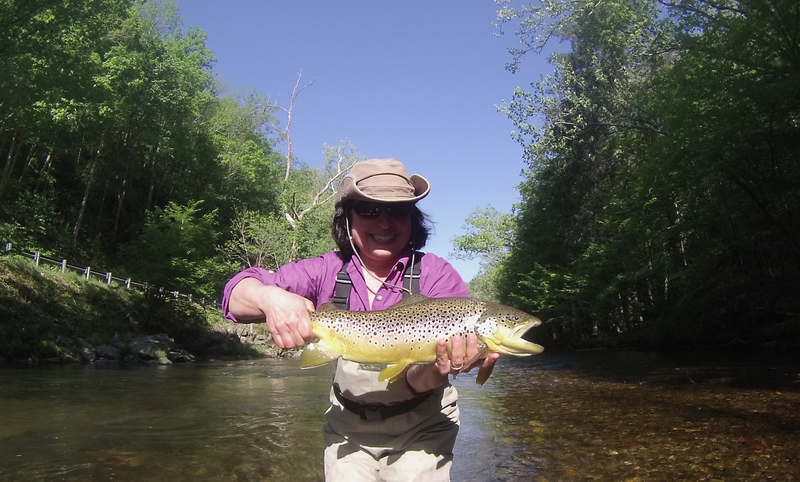 This gorgeous Brown trout was caught using 5X tippet on a Tenkara USA “Ito” rod just 30 minutes from Asheville . Don’t try to tell this happy angler that you can’t catch a big fish on tenkara! I still have some availability in October, a great time to get outside, give tenkara fishing a try and enjoy the fall colors. This entry was posted in Uncategorized and tagged asheville, Asheville Tenkara news, fly fishing, tenkara. Bookmark the permalink.